President Rodrigo Duterte on Thursday decided to transfer Bureau of Customs (BOC) Commissioner Isidro Lape?a to the Technical Education and Skills Development Authority (TESDA) amid the probe on smuggling of multi-billion shabu shipment into the country. Designated Maritime Industry Authority (MARINA) Administrator Rey Leonardo Borja Guerrero to take over the BOC. Duterte made the decision in front of military and government officials, including Lape?a and Guerrero, during the 117th anniversary of the Philippine Coast Guard (PCG) in Port Area, Manila. ?General Lape?a will move to TESDA. I will promote you to a Cabinet member position,? Duterte said after reading his prepared speech. ?So, Sid (Lape?a) ?yung trabaho ng (work there in )TESDA it?s quite something of a — it could be messy at times. But I?m sure your training as a military man, just like Jagger (Guerrero), would all go well for the country,? he added. Lape?a will fill up the post vacated by former TESDA Director-General Guiling Mamondiong who stepped down to run for governor of Lanao del Sur in the 2019 mid-term elections. ?General Jagger Guerrero, you are to move to the Bureau of Customs. I know that you are reluctant to? I know that you are happy there and you are contented, so I?ve heard, but the demands of public service and the need for honest men requires your presence there. Good luck,? Duterte told Guerrero. The President said he still will be looking for Guerrero?s replacementin the MARINA. Duterte said he wanted to implement some minor revamps ?downstairs? in the BOC, putting all section department units in floating status. ?Just to give also Jagger a chance, I?m ordering the freezing of all section department units of the Bureau of Customs out,? Duterte said. He ordered the PCG personnel to provide ?outer periphery? to Guerrero in the Customs. ?You might want to utilize some departmental? I don?t know. I leave it to your discretion. Lahat (everybody) out. To the last man, out. The commissioners are out. The department heads, out,? Duterte said. 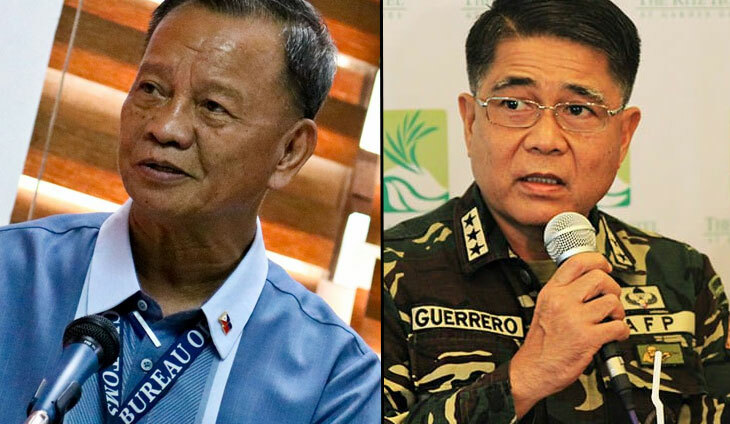 Duterte said Guerrero, former chief of staff of the Armed Forces of the Philippines, can also utilize military men and women to help him in the BOC.